What is an amputation prosthesis (PerFiTS)? 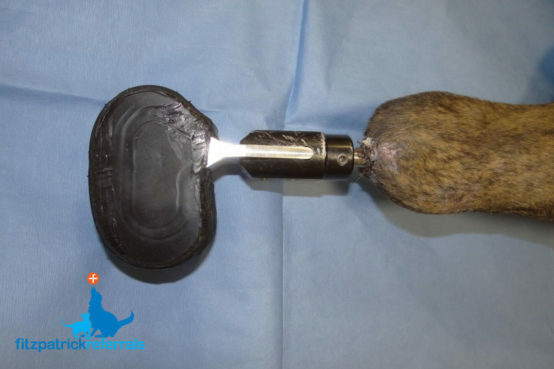 A PerFiTS is a uniquely designed prosthetic implant incorporating an endoprosthesis and exoprosthesis, which avoids full-limb amputation in cases of limb malformation, tumour or trauma to provide your dog or cat with a fully functional limb. 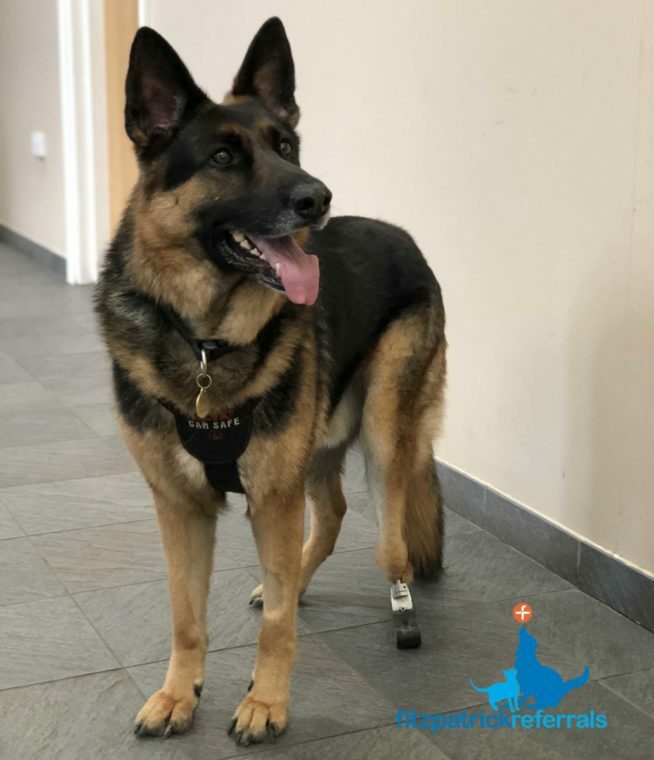 We are the only centre in the world offering this unique, custom-made amputation prosthesis and feel very honoured to have given the gift of mobility to many cats and dogs across the country allowing you and your animal friend to pursue a normal lifestyle filled with exercise and adventure. Patient with a hind limb PerFiTS, 2.5 years after surgery. 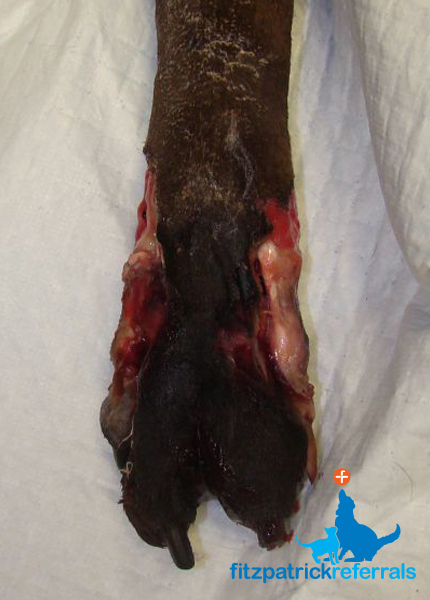 Dog with forelimb deformity that was treated using a PerFiTS implant. Avascular necrosis of the paw requiring amputation. How does a PerFiTS work? 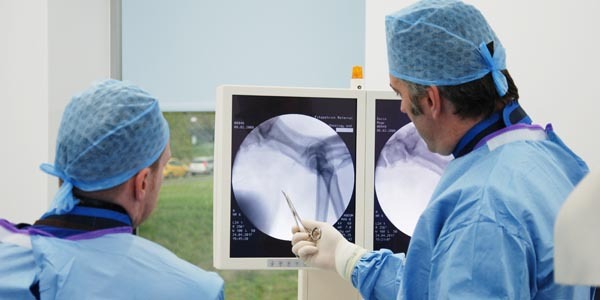 Fitzpatrick Referrals has spent years developing the pioneering technology used to design and manufacture the PerFiTS (Percutaneous Fixation To Skeleton) amputation prosthesis. The endoprosthesis part of the implant consists of an internal peg and plate that are attached to the animals remaining bone in the limb. Soft tissue is then attached to a dome-shaped surface leaving a small metal peg extruding from the limb onto which the exoprosthesis (“foot”) can be attached. The implant, although small, is packed full of groundbreaking technology. Special coatings on the surface of the implant allow your pet’s bone to physically grow onto the metal of the implant. 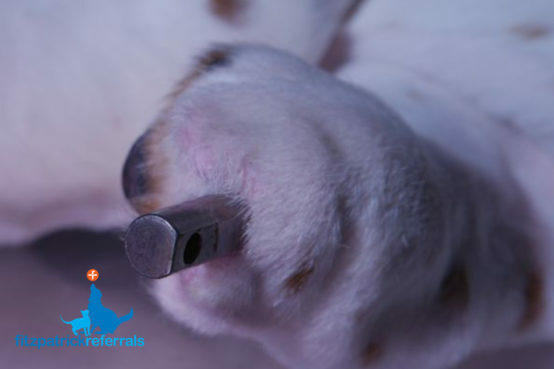 This means that the implant becomes an integral part of your pet’s skeleton. Further special coatings at the interface where the implant passes through the skin allow the skin cells to incorporate into the metal honeycomb, ensuring a robust, bacteria-proof seal forms between the skin and the implant. 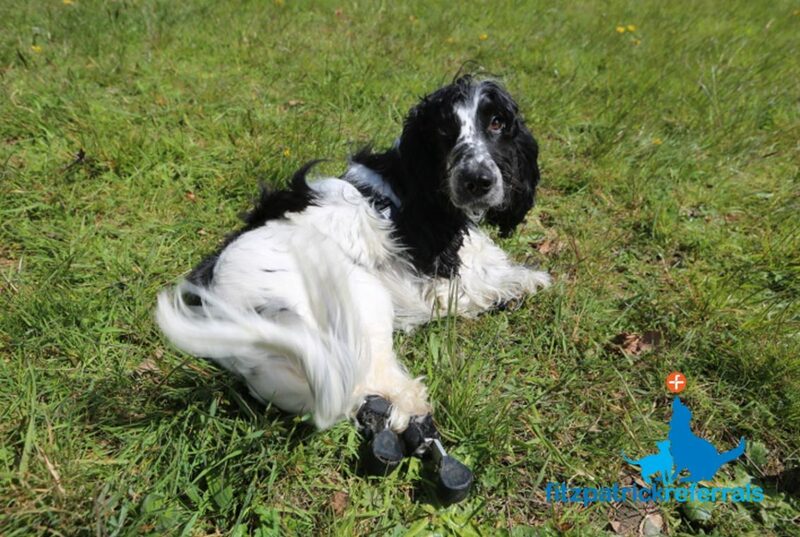 The exoprosthesis is designed to allow your pet to walk as if their original foot was still present. 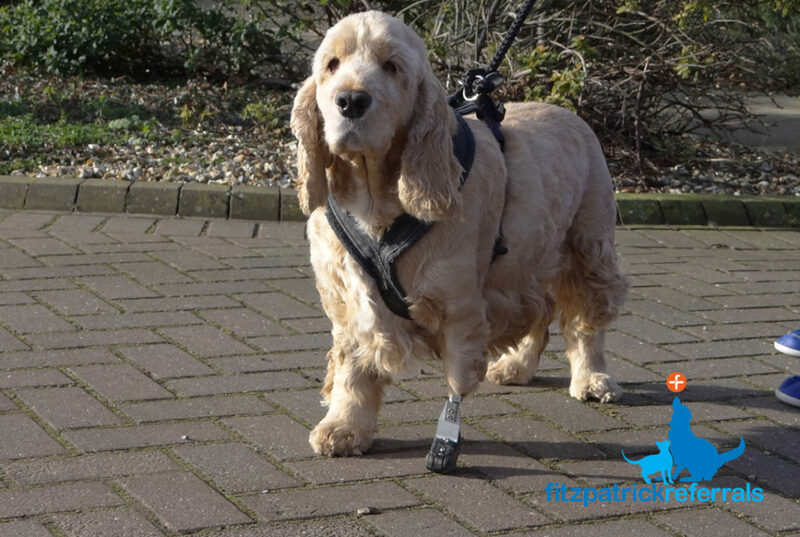 Every exoprosthesis we produce is custom-made by one of our biomedical engineers to perfectly accommodate each individual animal’s height, weight and natural gait. Over time, the rubber base of the exoprosthesis will wear out just like the sole of a shoe. When this happens we simply unbolt the exoprosthesis from the endoprosthesis (PerFiTS) and replace it with a refurbished foot. PerFiTS implants have been successfully implanted into cats and dogs in front and back legs. Some past patients even have PerFiTS in two of their limbs! PerFiTS (Percutaneous Fixation To Skeleton) endoprosthesis protruding through the skin. What does PerFiTS surgery involve? PerFiTS implants need to be made especially for each animal in order to meet their unique needs, this can be done within a couple of weeks for time-sensitive animals (e.g. tumours) but may take a little while longer for others. 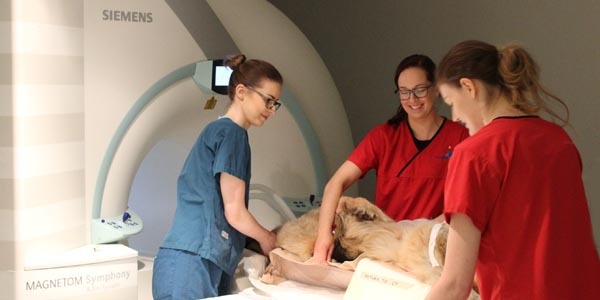 At the initial consultation, your pet will undergo clinical assessment, radiographs and CT imaging under sedation or general anaesthesia. Using this information the clinician will advise of the best course of action and whether or not a PerFiTS will be appropriate, or is achievable. Some animals will undergo a two-stage surgical process where the limb is partially amputated at the initial consultation and the PerFiTS is surgically implanted during a second procedure some weeks later, whilst others will undergo partial amputation and PerFiTS implantation during once procedure once the implant has been made. 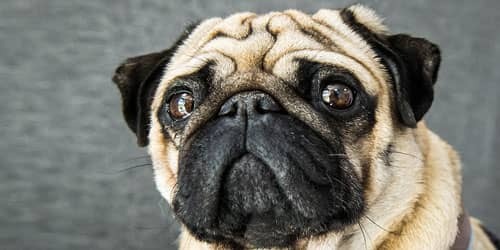 Your clinician will make a recommendation regarding a one or two-stage procedure depending on what is the best and safest option for your pet. What is the typical recovery time after PerFiTS surgery? Patients are usually hospitalised for 3-4 weeks postoperatively so that we can closely monitor the wounds and change bandages daily. Usually, the exoprosthesis is attached 2-3 weeks postoperatively. Unfortunately, we do not encourage hospital visits during this time to optimise infection control protocols and so as not to overexcite your pet too much when they should be resting. Once home, your pet will need to be strictly rested until 6 weeks postoperatively after which time exercise on a lead can be gradually increased as advised by the clinical team. Usually, by 12 weeks postoperatively patients are allowed to gradually return to normal activity levels. 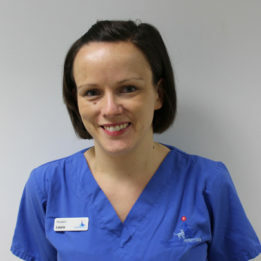 During your pet’s hospitalisation period they will be cared for by a dedicated team of ward nurses and ward auxiliaries who work alongside your clinician, a team of veterinary surgeons and chartered physiotherapists ensuring all your animal friend’s clinical and emotional needs are met. 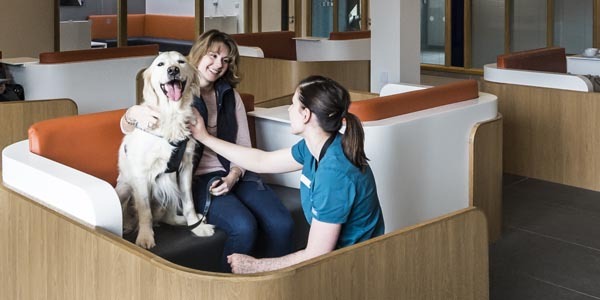 As your pet is hospitalised for a number of weeks following surgery, the patient care team make sure your pet feels at home and treat them just as if your pet belonged to them with the love and affection they desire and deserve. Can my dog or cat have a normal lifestyle following PerFiTS surgery? Most dogs and cats return to a normal lifestyle following PerFiTS surgery. 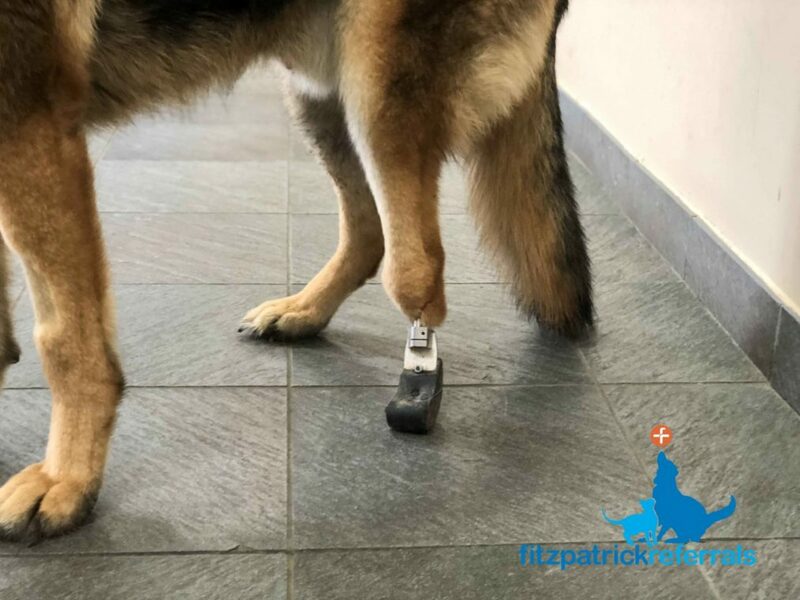 Your animal friend will have to have regular checks to make sure the PerFiTS is functioning well and to allow resurfacing of the exoprosthesis as necessary. We expect that an exoprosthesis will need to be replaced 1-2 times a year for life. Peanut with his new bionic feet at home. 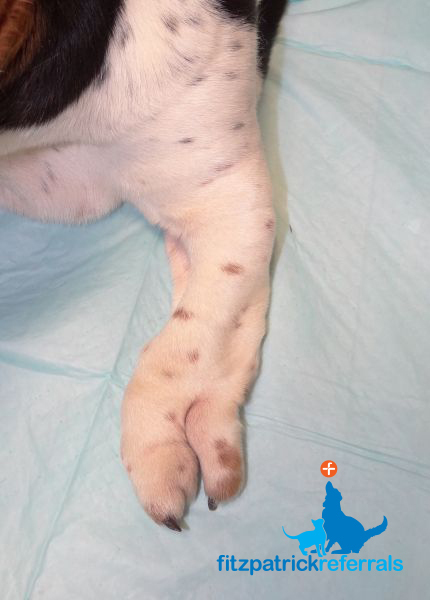 Close up of a patient's hind limb PerFiTS, 2.5 years after surgery at Fitzpatrick Referrals. What are the risks of limb salvage surgery? Infection remains the biggest risk during limb salvage surgery, but other complications include failure/breakage of the implant (though this has massively decreased in more recent generations of implant design) and failure of the skin to adhere to the dome, meaning that the wound is exposed. It is extremely rare for the implant to break, but the potential risk should be noted. Every precaution is taken to prevent infection and other complications of the device both during surgery and in the postoperative period. Are there reasons why my pet shouldn’t have limb salvage surgery? Not every patient is a suitable candidate for limb salvage surgery using the PerFiTS device. In patients that have cancer of the lower limb, we will only consider the patient as a surgical candidate after rigorous staging to assess if the cancer has spread from the limb to other areas of the body. It is very unusual for us to recommend PerFiTS for patients with osteosarcoma as an endoprothesis is usually a better alternative. What alternatives to limb salvage surgery are available? In patients with cancer of the lower limb, amputation may be the only treatment available to prevent spread of the cancer to other parts of the body. In the case of major trauma where reconstructive surgery is not appropriate, amputation may once again be the only option available to the patient. What should I do if I think my pet has a condition that would benefit from a limb salvage procedure? 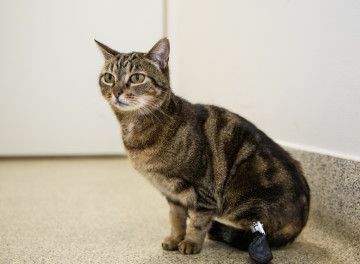 If you think your pet needs a limb salvage procedure, we recommend asking your veterinary surgeon to contact us for further advice on 01483 423761 and ask to speak to Hannah Prince or Cameron Black. We are more than happy to talk to your vet about what is involved with the surgery and ascertain if limb salvage surgery could help your pet. 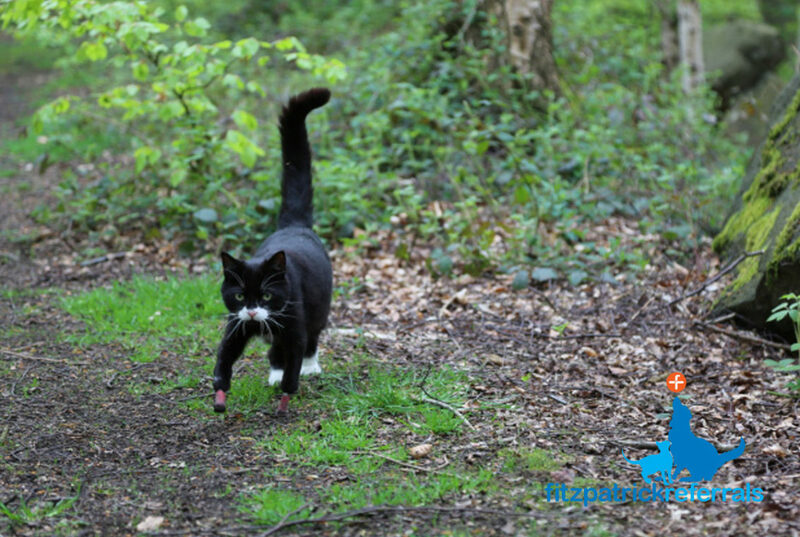 Pixie’s Story – The PerFiTS wonder cat!